What Happened In 2017: Two stints on the disabled list, a dreadful 2-for-41 slump and a demotion to Triple-A Oklahoma City in August lead up to an unforgettable three-home run World Series performance. Joc Pederson was constantly tinkering with his swing in 2017, which is no surprise since he’s been constantly tinkering with his swing his whole career. He finally figured things out in August in OKC and hit his stride, albeit late, in the postseason. Corey Seager‘s injury opened the door for Pederson to be added to the NLCS roster, and he ended up surprising everyone with a history-making World Series performance. It was a tough summer for Pederson, who was mired in an Eugenio Velez like 2-for-41 slump in July and the beginning of August. 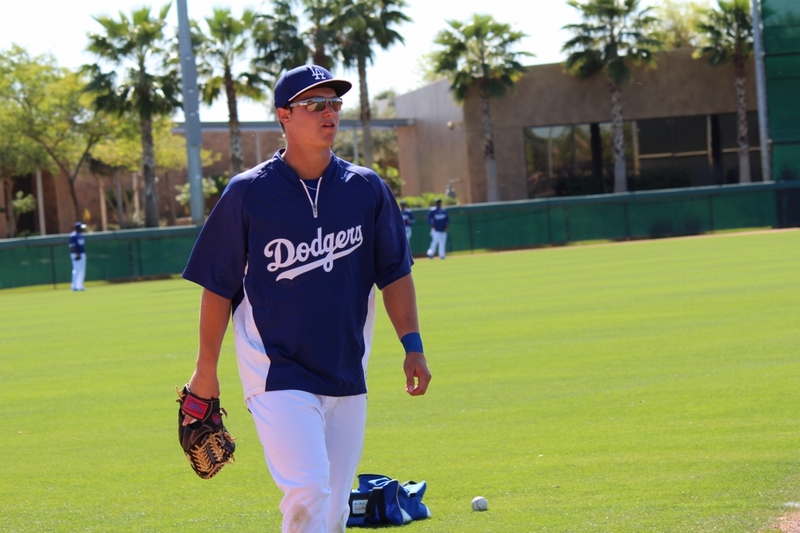 The Dodgers demoted him to Triple-A Oklahoma City in order for him to refocus and figure out his swing. After all, a late-season demotion to Triple-A for Yasiel Puig the year before worked. It wasn’t always that miserable, as the season started out as well as Pederson and the Dodgers could have hoped. Pederson drove in a career-best five runs on Opening Day, including a third-inning grand slam. Despite the electrifying start, Pederson wasn’t able to continue such an offensive pace in April as he dealt with a groin strain, something that had been bothering him since Spring Training. After hitting .220 with just four extra-base hits including his Opening Day grand slam in his first 50 at-bats, Pederson landed on the 10-day disabled list with a right groin strain. He also missed 18 games in May after suffering a concussion in the terrifying collision with Puig in the outfield. Pederson’s best month came in June when he hit .304/.435/.714/1.149 with six home runs, 11 walks and 13 strikeouts in 69 plate appearances. His streaky hitting regressed thereafter, and he was sent to Triple-A Oklahoma City in order to press the reset button after collecting only two hits in the month of August. Partly due to Pederson’s struggles at the plate and defensively, the Dodgers acquired outfielder Curtis Granderson from the New York Mets in a waiver trade deal. Things were definitely woke for Pederson in the postseason, as he created one of the most memorable playoff performances by a Dodger. He made only one start in the NLCS, and he doubled, but he was just getting warmed up. After the Dodgers defeated the Chicago Cubs to win their first National League pennant since 1988, Pederson’s bat exploded in the World Series against the Houston Astros. He tied a World Series record, collecting extra-base hits in five straight games. Pederson hit three home runs in the World Series, including a game-tying homer in the fifth inning of Game 2 and one in each of Games 4 and 6. His .304/.360/.826 postseason performance was a welcome surprise, his streaky offense syncing up at just the right time. As a bonus, his exuberance also seemed to really incite Astros fans. It’s been a wedding blitz on the Dodger front this offseason, and Pederson was one of six Dodger bridegrooms this winter. Some of the players attending his wedding even met up in Santa Barbara for an impromptu workout. Ross Stripling said all the #Dodgers gathered in Santa Barbara for Joc Pederson’s wedding went to work out at Gold’s Gym the morning of the wedding. Pederson was one of them. That makes sense, since the Dodgers talked to Pederson about his conditioning. The Dodgers avoided arbitration with Pederson and inked him to a one-year, $2.6 million deal for 2018. 2018 Status: Will compete with Chris Taylor, Andrew Toles, Alex Verdugo and possibly Matt Kemp for a at-bats in left and center field.